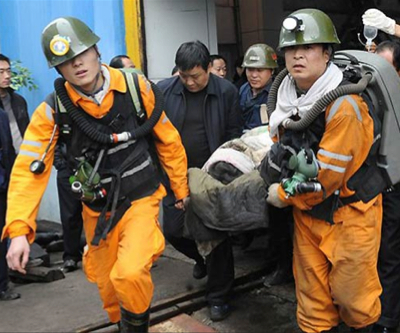 Seven miners were killed and two others injured in a coal mine gas blast in Southwest China, state-run agency Xinhua reports. Authorities quoted by the news outlet said the explosion took place Friday morning at Shibanpo coal mine, located in southern China's Guizhou province. Thirty-one miners were working underground when the blast occurred, and preliminary investigation indicates the cause of the explosion was a sealed shaft that was opened without permission. Shibanpo is a private coal mine with an output of 300,000 tonnes per year. Chinese authorities are currently investigating possible negligence in relation to other two recent coal mine explosions that killed 53 people in northeast China's Jilin Province. Those blasts happened on March 29 and April 1, respectively, at the Babao Coal Mine in the city of Baishan, operated by state-owned Tonghua Mining Group.